Many overseas graduates share Clara Caroline’s life story. She is a graduate from Australian technology university who returned to Indonesia and started baking her own business from her kitchen at home in Jakarta. And there’s no other business like the F&B industry that can guarantee a never-ending demand. Why? Simply because food is a life sustenance and no one can ever permanently stop eating. 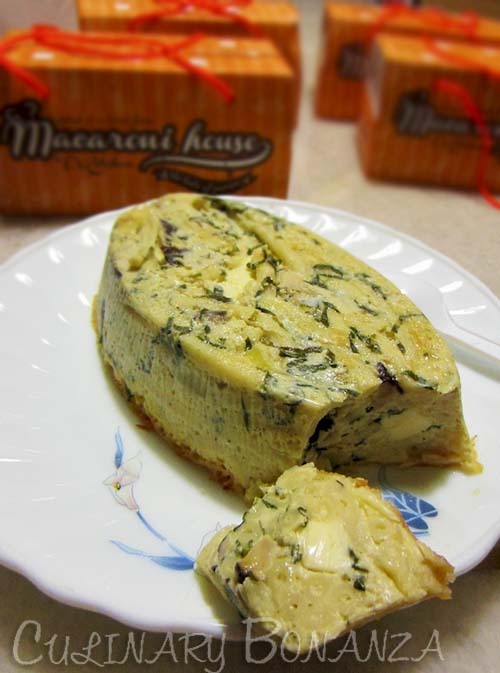 Macaroni House by Clara’s Kitchen is a home-industry that specializes in macaroni-based treats. Not wanting to compromise on the quality and taste, Clara and team insist on using only premium ingredients, some are even imported straight from Australia, such as the white wine for the Three Cheese variant and pine nuts to make the pesto sauce. Such adamant commitment is sometimes questioned by their customers, especially since the price isn't exactly what average Indonesians would call reasonable. But quality comes at a price, so in my opinion, it is a worthy exchange. What intrigued me at first was the Baby Baked Macaroni variant, which is suitable for 9 months old infants and older. All the ingredients used are safe for babies and there’s no added preservatives. So I bought one of this for my baby niece and she happily ate it, although she sometimes choked on the chicken bits. Out of curiosity, I stole one scoop from her and I can only say, baby food is meant for babies. Adults, get your own share! Haha. My personal favourite is the Vegan Baked Macaroni, simply because I like spinach and it helps in my daily fiber intake. 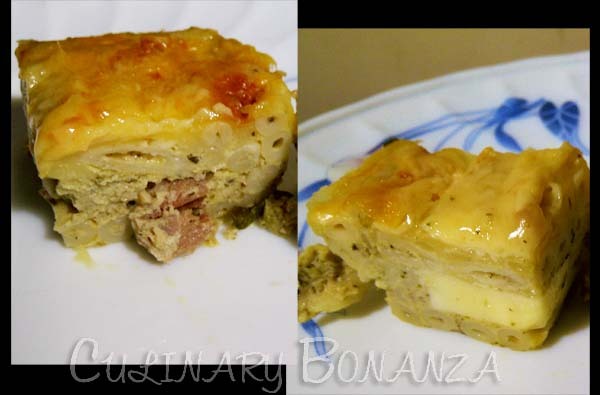 =) Another thing that impressed me was the generous amount of cheese inside the baked macaroni, you can literally see the huge blocks of pale yellow gooey goodness! The neat and presentable packaging is also another plus point that can be a healthy and tasty gift-idea for your dear ones. *) Delivery charge is calculated based on the relative distance from Puri Indah, West Jakarta. *) No Service Charge or Tax. that three cheese mac! uuhhh yum! i'm wondering, how could it be vegan macaroni if it uses feta cheese? Dear Anonymous, I have clarified with Clara and she said that was just the name that she come up with for the variant that has vegetables in it. Please do not be mislead into thinking that this is a vegetarian version, because as you said, it contains feta cheese. Currently, she's thinking of a new name for this variant, so as to avoid misinterpretation such as this in the future. I will update this post with the new name soon as she found it.